This chapter introduces the Slow City movement and presents case studies of Italian, German, and British towns. The Slow City movement – sometimes also called Città Slow or Città Lente – began in October 1999 when four Italian towns started to apply the ideas of Slow Food to urban planning. Since then, more than 77 cities have joined and are committed to implementing a charter and adhere to a 54-point criteria list. 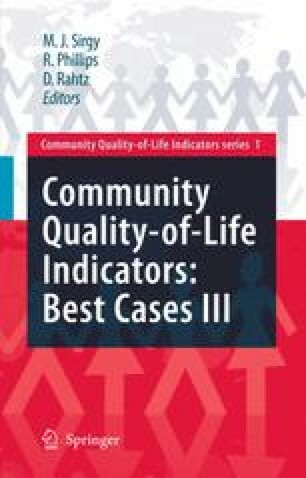 The criteria represent a unique community quality-of-life indicator system that addresses issues of environmental protection and sustainable urban development, urban design and form, the support of local products, and educational awareness. The Slow City charter forms the philosophical basis for a set of action-oriented indicators. Member towns are obliged to pursue local projects that protect local traditions and cultures, contribute to a relaxed pace of life, create conviviality and hospitality, and promote a unique sense of place and local distinctiveness. We describe the Slow City Movement approach to indicator systems that strives for broad sustainability and place-making goals and deep commitments to policy action.